Izmir Jewish Tours | Private Tours are Our Specialty! 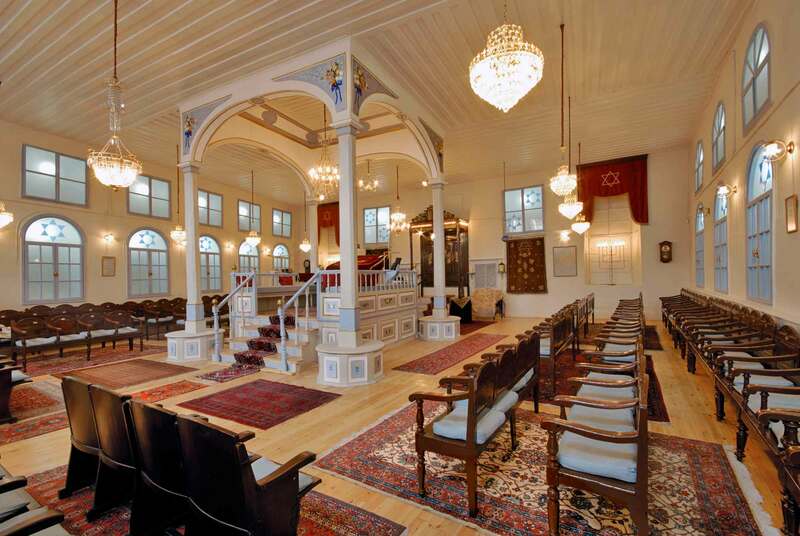 Izmir Jewish Tours – The presence of the Jewish community in Izmir goes back to 4th century BC. After the conquest of Jerusalem, Alexander the Great brought some Jews to Izmir. According to the biblical scripts, at the time of St. Paul, there were Jewish communities in Izmir. The Jewish communities in the region were not respected during the Byzantine era. There is no record of the Jewish community in the region when the city was conquered by the Ottomans in 1424. The earliest records that lighten the first Jewish communities during the Ottoman rule reach the 17th century when the Sephardic Jews started to settle in the Izmir, as it became an important trade center of its time. It is known that in the 19th century the population of the Jews in Izmir was around 20,000. In the 1950’s, the Jews in the area started the immigrate to the new founded Israel. Today there is about 2000 Jews living in Izmir. Please do not hesitate to contact us for any further information regarding our Izmir Jewish Tours. Algaze Synagogue is located in Karatas and is one of the many synagoues in the district. The was built in 1724 by the Algaze family in Izmir. By the restorations in the 20th century the Menizah was removed. According to a unverified story a young rabbi blinked to a lady and the chief rabbi removed the Menizah. Today the tevah of the synagogue located in the centre of the building surrounded by 4 collumns, elevated by 4 steps. Beth Israel Synagogue is also located in the Karatas district. According to an edict in 1904 the Ottoman Sultan Abdulhamid wanted this synagogue to be built for the Jews living in the neighborhood. The Beth Israel Synagogue was built in the church form, result of the Italian affect in the 20th century and has 2 tevah that were elevated by 4 steps. 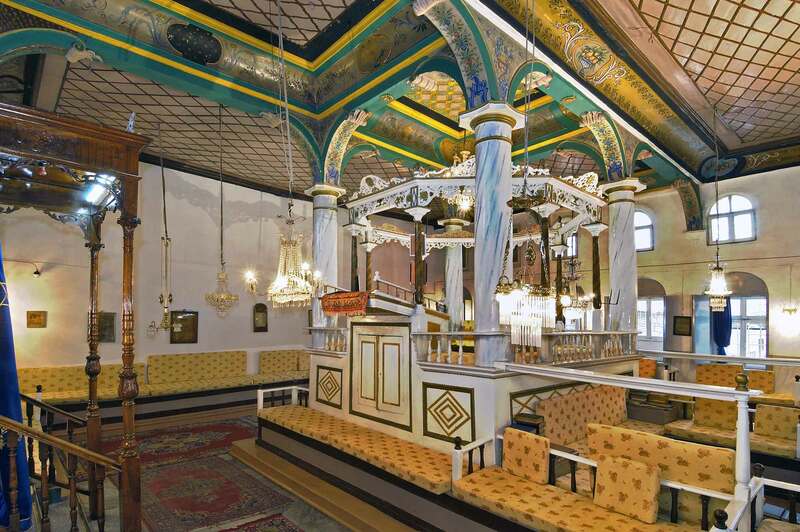 The synagogue is the most active synagogue in Izmir. 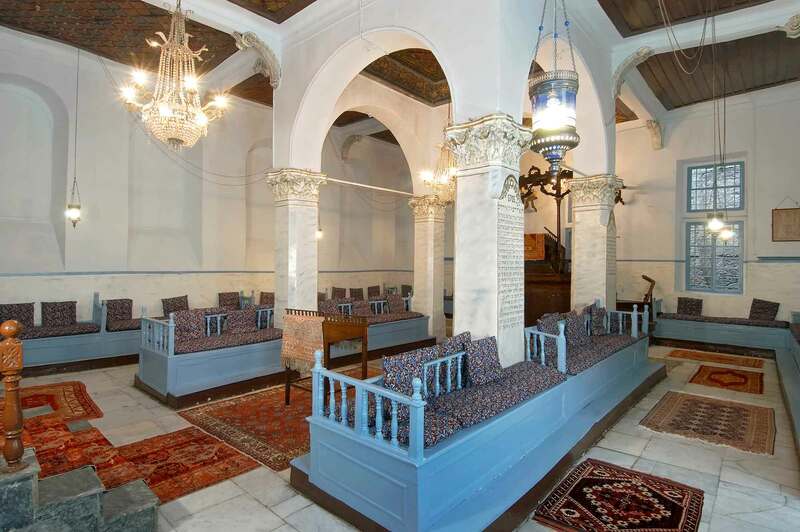 Bikur Holim Synagogue is the most beautiful and preserved synagogue in Izmir. It was built and donated by Shlomo de Chaves, who was a Dutch and lived in Izmir. The date of the original building was 1772 but after a fire that affected the city it was destroyed and the new building was built in 1800, again by Shlomo de Chaves. 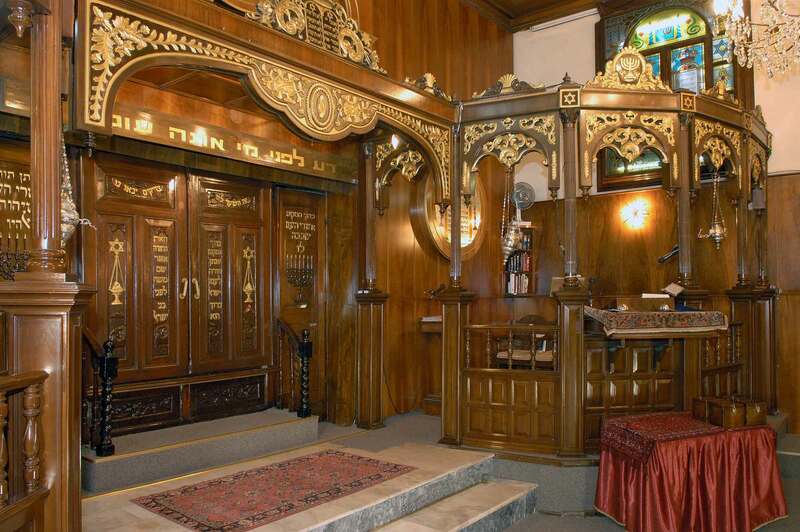 As it was very well preserved the Bikur Holim Synagogue holds trace from the 19th century. The Shalom Synagogue is one of the oldest synagogues in Izmir and was originally built in the 16th century and is located across the Algaze Synagogue. The building survived the great fire in Izmir but had 2 restorations in 1800 and 1841. The tevah is elevated and surrounded by 4 columns. its ceiling is adorned with geometrical shapes. Comparing to the other synagogues in the area the Shalom Synagogue is rather smaller. Signora Giveret Synagogue is located in the Karatas district. It is known that the synagogue was built by Donna Garcia Mendes in the 16th century. During the great fire in 1841 the synagogue was damaged, so it was rebuilt by the Yarushalmi family. 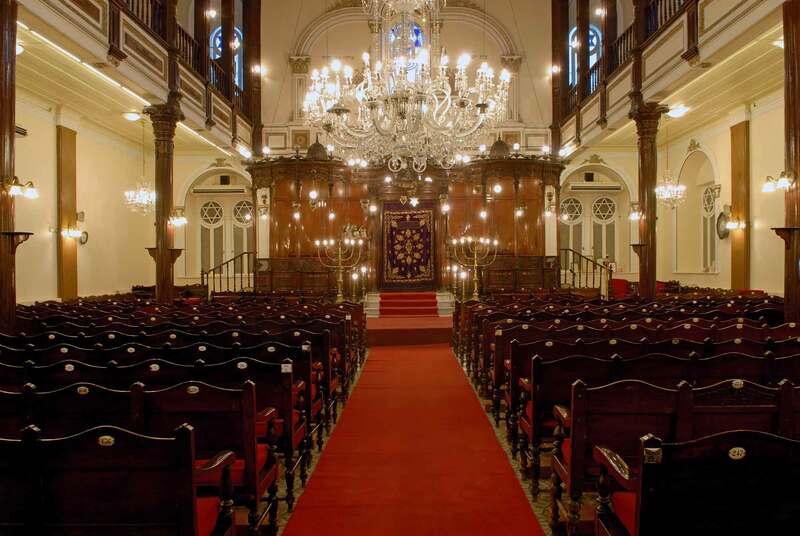 The seats of the synagogues are linear and and the like the other synagogues in Izmir the Tevah is close to the Bimah. The hall is decorated with unique paintings of landscape. 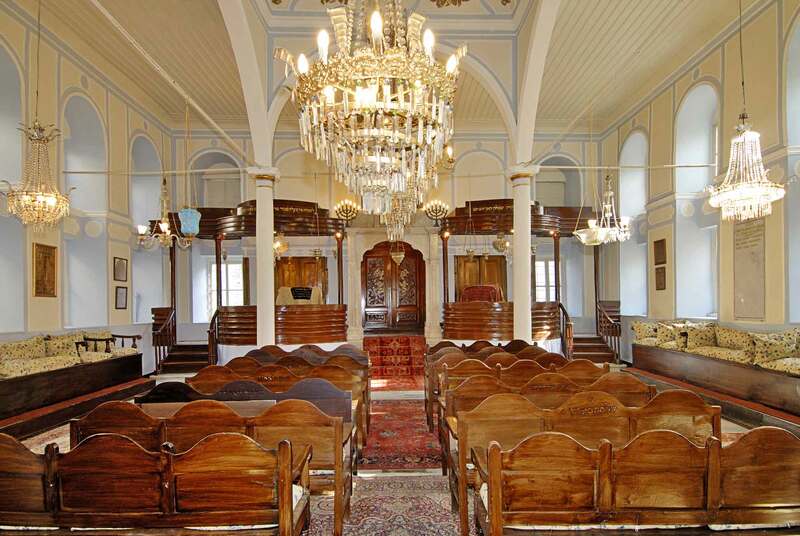 The Shaar Hashamayim Synagogue is the second most active synagogue in Izmir after Beth Israel Synagogue. As it had several restorations the original look of the building is unknown. The construction of this synagogue has a different characteristic as it was built using concrete. The synagogue was built as 3 floors and has 2 Tevah elevated by 2 steps. Sardis (Sardes) was an important ancient city served as the capital of the Lydian Kingdom and administrative city of the Lydian region during the Roman era. It is know that the city had a Jewish community in the 4th century BC. The synagogue ruins that was found during archaeological excavation in 1960’s. The synagogue is known to be built in the 3rd – 4th century AD. The rectangular structure of the building is 120 mt long and 18 mt wide and it was adequate to accommodate about 1000 people. The floor is adorned with beautiful mosaics that shows that the economical status of the community was very high. 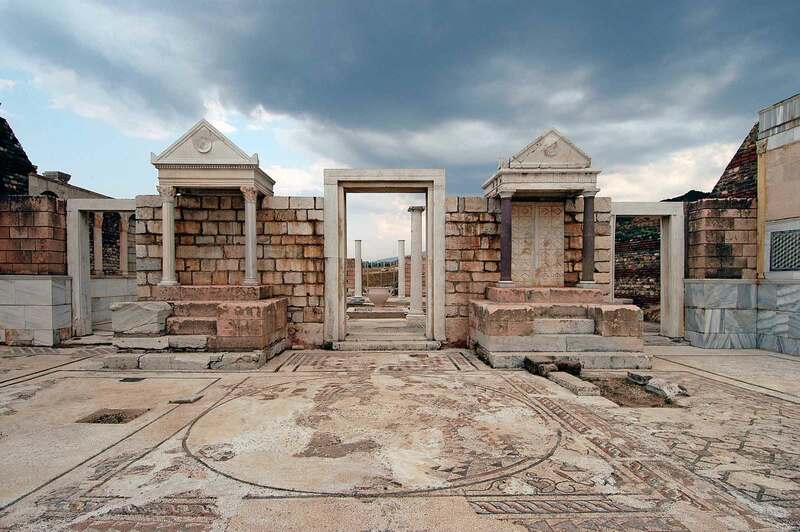 We strongly recommend adding Sardis into the Izmir Jewish Tours itinerary as this ancient city is remarkable in terms of Jewish history in Asia Minor. The Synagogues are closed on weekends, official and religious holidays. In order to arrange the entries to the synagogues passport information is required at least 2 days prior to the Izmir Jewish Tours. This is required by the Rabbinate Office in Izmir. Please note that the synagogues require entrance fees. If you would like to attend the prayers at one of the synagogues we would be able to arrange the entries for our guests. Please contact us for more information. Please do not hesitate to contact us for any questions about our private Izmir Jewish Tours, hotel and itinerary recommendations. We would be more than pleased to assist you. Let us make your time in Izmir a memorable one!